Try restricting your diet to only soft foods that don’t need much chewing like scrambled eggs, yogurt, pasta, ice cream etc. This is because hard foods like nuts, raw vegetables, corn, etc. could potentially damage your dentures or get stuck in them. 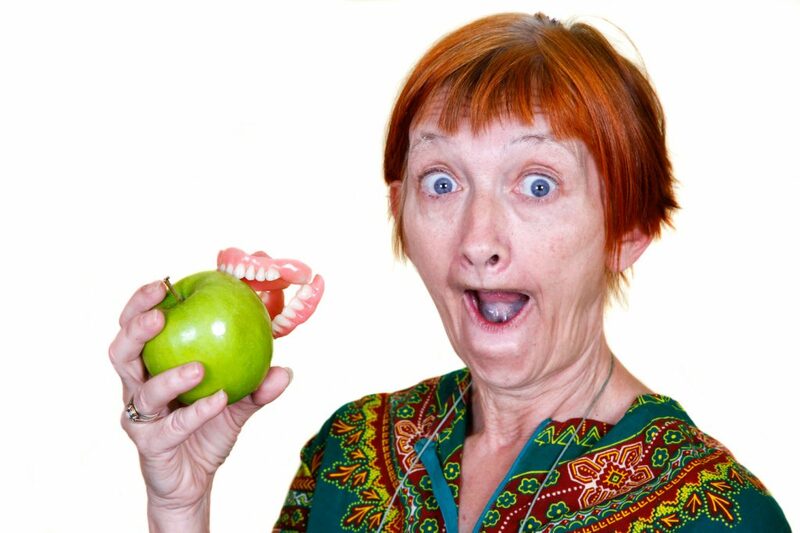 It is important to try to ease your dentures in slowly with the appropriate foods to help yourself adjust to them. Wait for a week and make sure you’re comfortable enough with having your dentures in before starting to have solid foods. Also, stay away from hot drinks as you still need time to adjust to the dentures so you won’t be able to feel temperatures for the first while. Even though they’re not your real teeth, they still have the same characteristics of real teeth. If you don’t clean them regularly, then they could develop plaque and bacteria (weird, right!). Make sure to brush them with the proper toothbrush and method that your doctor recommended to you. Talking can be really uncomfortable when you first start wearing dentures. Your tongue is going to feel very weird which is normal (after all, you did get a completely NEW set of teeth!). It might take a while too before you’re fully capable of speaking and annunciating your words clearly again, but that’s okay. Our best suggestion to you is to keep reading and sounding vowels out loud as it’ll help your tongue and tissues adjust faster to your new dentures. Denture slippages are very likely to happen sometime especially if you sneeze or laugh. Whenever this happens, all you need to do is gently bite down on them and then swallow. This will help them slip back into their normal position. If you have any issues with this and need assistance, call our office, (519) 979-0070, or set up an appointment. Our staff at the Strong Clinic are always here to help. Don’t forget to take them out while you’re asleep at night. This allows your mouth muscles and tissue to heal themselves overnight from the pressure that dentures are capable of exerting onto them. Don’t forget to soak them in denture cleanser every day to make sure they’re squeaky clean and to prevent them from drying out.